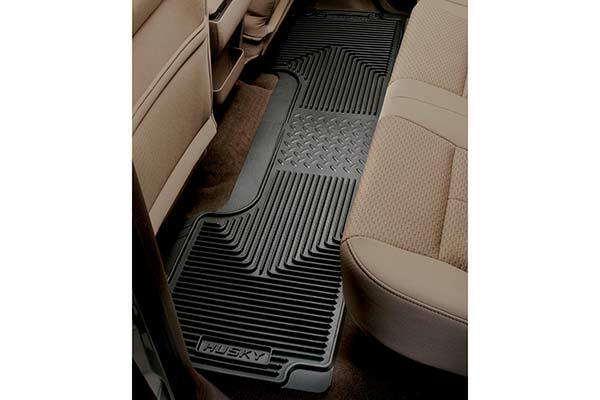 Husky Heavy Duty Floor Mats - Semi Universal Design - FREE SHIPPING! 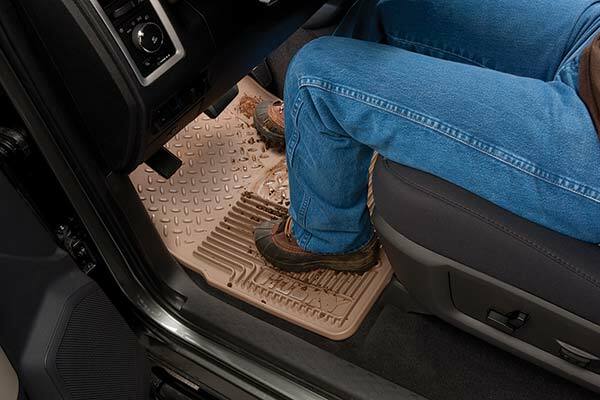 Protect your interior with practicality - Husky Liners Heavy-Duty Floor Mats stand up to anything your feet drag in for great coverage in any season. 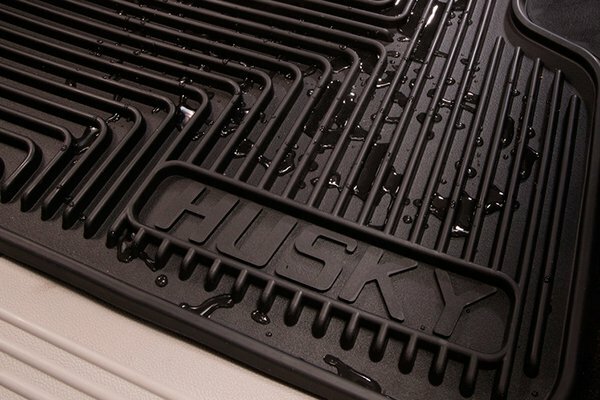 Husky floor mats are made from a patented thermo-plastic rubberized vinyl that's guaranteed not to crack or break. 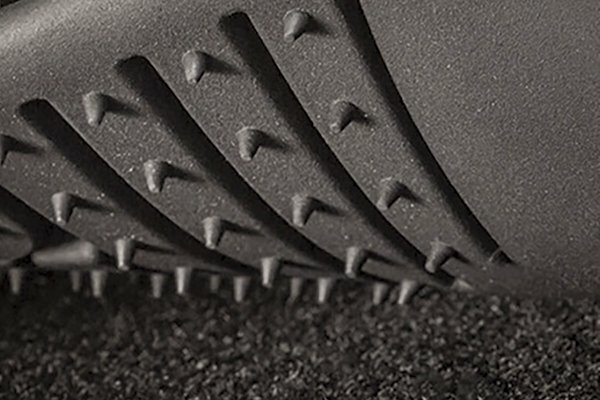 Husky Liners HD Floor Mats are sized to fit your ride well and stay in place with exclusive carpet spikes. 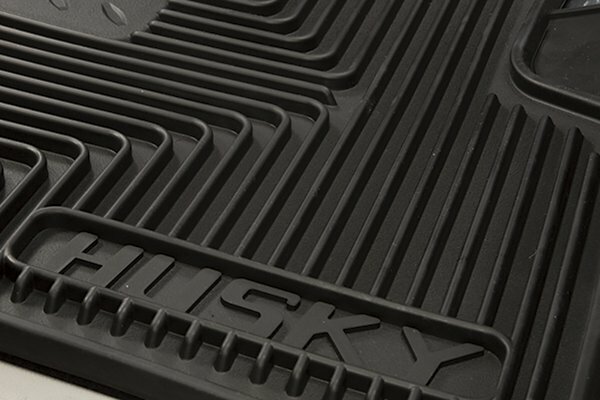 Unlike other floor mats, Husky Heavy-Duty Floor Mats boast a taller outer lip that keeps all the mud, muck and moisture from escaping onto your carpet floors. 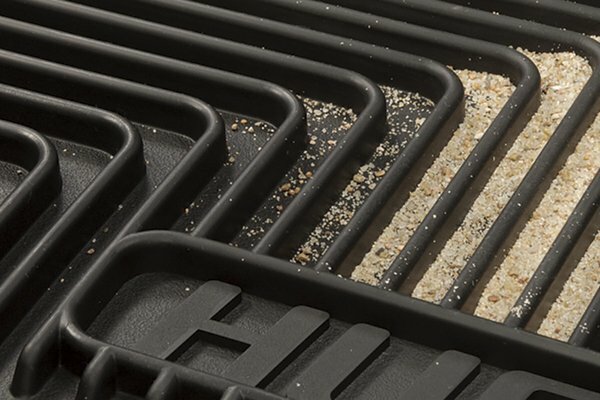 Cleaning Husky Heavy-Duty Floor Mats is as easy as hosing them off. 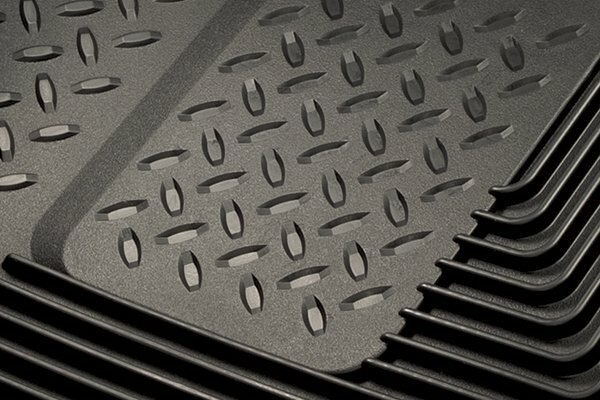 These floor mats come in several universal colors to complement your vehicle's interior. 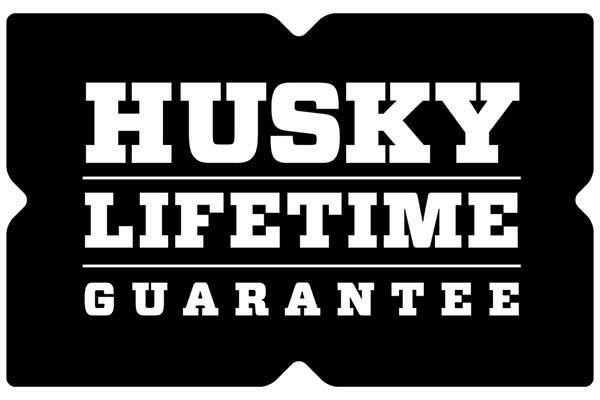 And, Husky Liners Heavy-Duty Floor Mats are made in the USA and covered by a Lifetime Warranty. Husky floor liners are very attractive and durable. They make my car look like it's brand new. I love them. I've used Husky mats for some time and they're absolutely the best. Perfect fit without trimming. 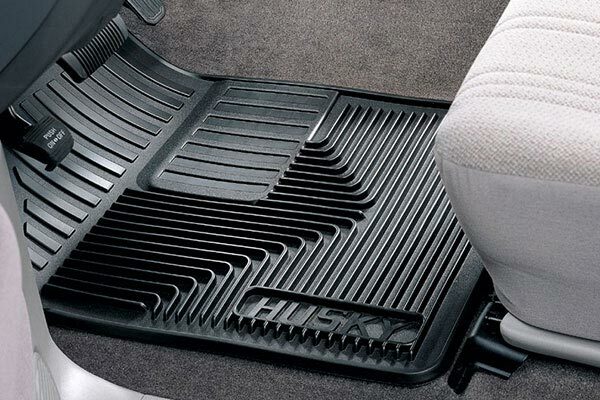 Honda floor boards are equipped with hooks to secure the floor mats, the Husky mats do not have holes for these hooks. The mats would be better if this simple change was made to the mats. Otherwise the mats fit and seem to stay in place. The Husky floor mats for my newly refurbished 2006 Duramax work great to keep the new carpet clean and looking good. I wanted a good floor mat to protect the carpet and that can easily be removed to be cleaned. I chose the floor mats vs the liner because I spent time and money on the carpet. The mats worked well to protect the carpet but I also wanted to make the upgraded carpet visible as well. order custom fit Husky for all my vehicles; none available for Mustangs; able to make them work by reversing left and right; still not a great fit, but does the job; found this new car in a time capsule like it just came off the assembly line; was hoping for a better fit, but will protect as needed; I am a loyal Husky Liner fan, and will be back for more when possible. All my ratings would be 5-Star if they had been a better fit, as the application guide recommended. Reference # 761-764-793 © 2000-2019 AutoAnything, Inc.